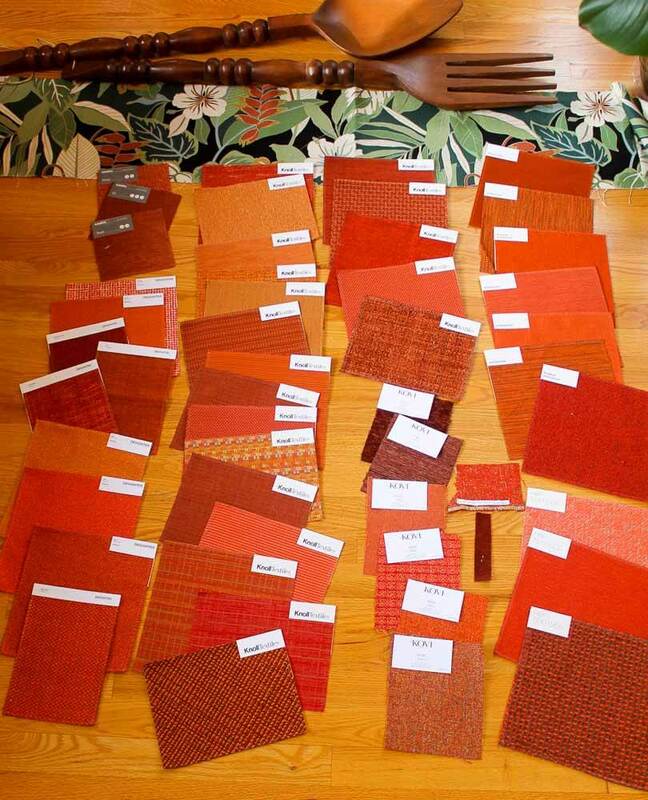 If you’ve been on the hunt for the perfect fabric for your tiki lounge — Tommy Bahama has some terrific options for your upholstery, drapes, pillows, bar cushions — all with a healthy dose of island flair. These patterns are bold, colorful and fun — all the things that should be present in a tiki style room. No room in the house for a tiki lounge? Many of these prints are available in outdoor fabric, too — and they probably look very nice next to your tiki torches. 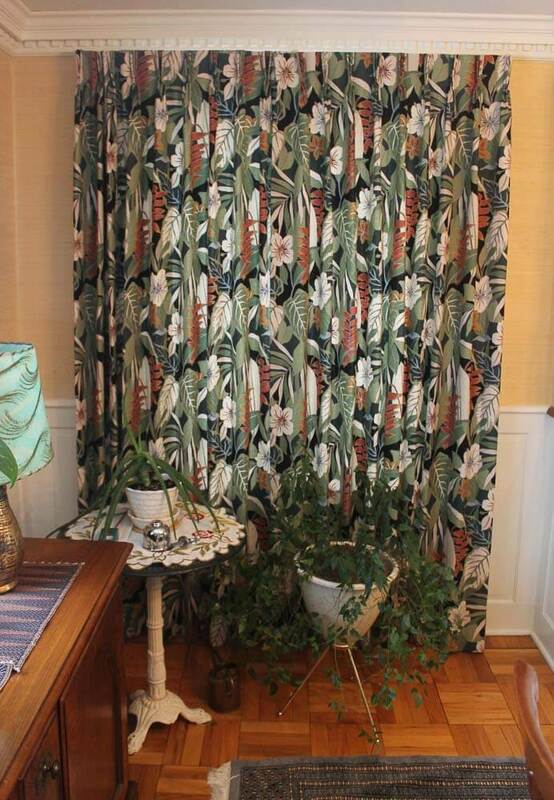 Heck even if you don’t have a tiki themed room — check out the lively patterns that are available — they might just momentarily transport you to your own tropical island. Most of the designs come in several color ways. I especially love the pattern above — Wave Runner — in Spice. Above: Mermaid’s call — sandcastle… This pattern would be good for someone who is not into flowery and leafy patterns. Still kitsch-tastic, though! Bamboo gate — rattan — another good pattern for someone who likes more geometric prints. Aquatic allure — tropic…. Pam says this entire series is her favorite (although those mermaids are enticing, she admits). She’s partial to Monstera Deliciosa – that most CLASSIC mid century plant. See the whole line of tiki-tastic fabric on the Tommy Bahama website or view and order on JoAnn Fabrics.com. This stuff is not inexpensive, but you can watch for sales and of course, at JoAnn’s, use those coupons. Oh, my goodness, these are all so fabulous, I’m not sure I could choose. Also, if you’re looking for ready-made, Tommy Bahama does have bedding, curtains, etc., in some good prints. I found a duvet cover set and matching bedroom curtains in a very “tiki” pattern: brownish red background with hanging gold-tan palm fronds. 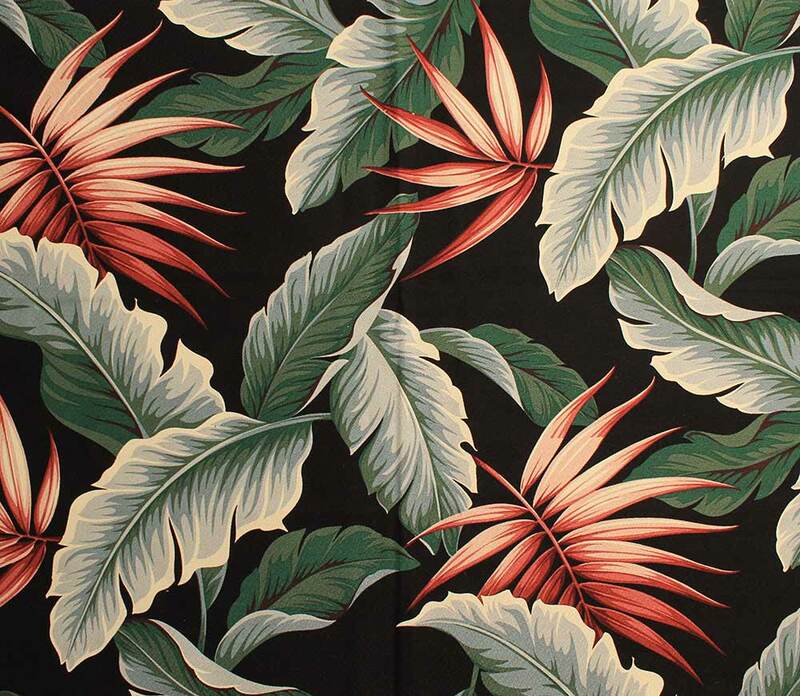 Tommy bahama fabrics are certainly tropical and hawaiiana in flavor. but I didnt actually see any tikis. theres are a handful of notable tiki artists who do tiki specific fabrics if you are looking for something more accurate to the genre.